At the October membership meeting, the Representative Council delegates and members present voted to submit a small dues increase for a vote of the membership at the January meeting. The Representative Council believes the dues increase is needed to partially offset the drop in income from the loss of membership. 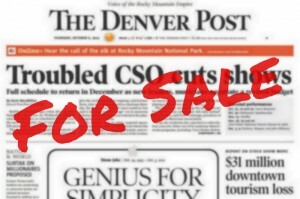 In the past two years, more than 50 jobs at The Post have been eliminated and over the next few months, more than 45 home delivery, finance and design jobs will be lost to outsourcing. That’s on top of the significant job losses that occurred when the Rocky closed in 2009. All told, the union’s membership has fallen below 300, and annual dues revenue has dropped by more than $65,000 in two years. The proposed increase would generate about $19,000 per year. Your union continues efforts to grow membership by organizing employees in other workplaces. We have an organizer on staff leading those efforts and are looking for opportunities to gain funding from the national union to cover organizing costs. To bring in additional revenue, half of the Guild office has also been rented out. But in order to retain staff and cover other expenses, additional revenue will be needed. In December we will hold a lunchtime Q&A meeting to discuss the proposed increase. The date, time and location of the January meeting where the dues increase will be voted upon will be scheduled and announced at least two weeks prior to the meeting.